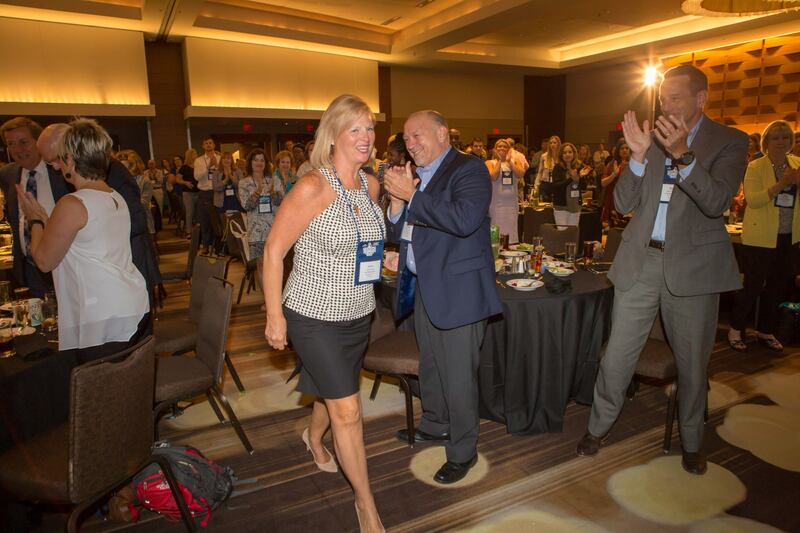 The GACVB Board of Directors may confer Honorary Membership upon a person who has rendered distinguished service to the destination management profession. On Tuesday, August 28, 2018 at the Georgia Governor's Tourism Conference in Atlanta, GACVB honored their inaugural group of Honorary Members. 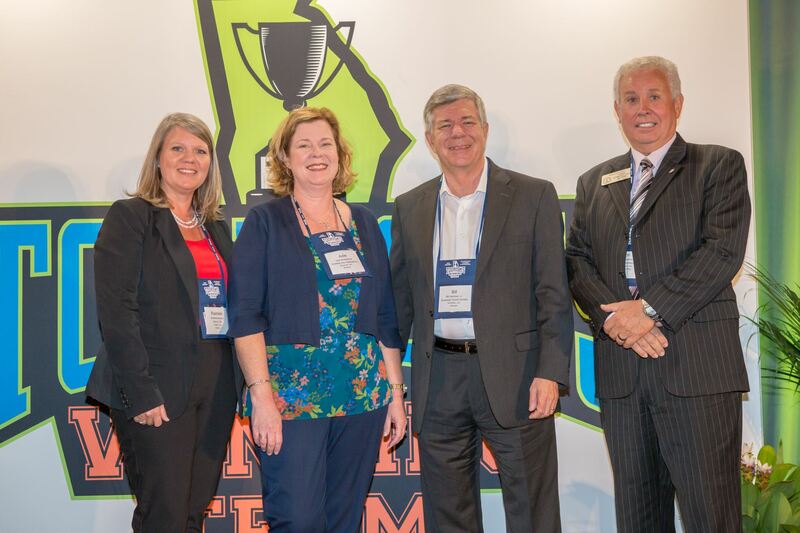 GACVB President Rashelle Beasley (Albany CVB) presenting 2018 Honorary Memberships to Julie Musselman, Bill Hardman, and Representative Ron Stephens at the 2018 Georgia Governor's Tourism Conference in Atlanta.